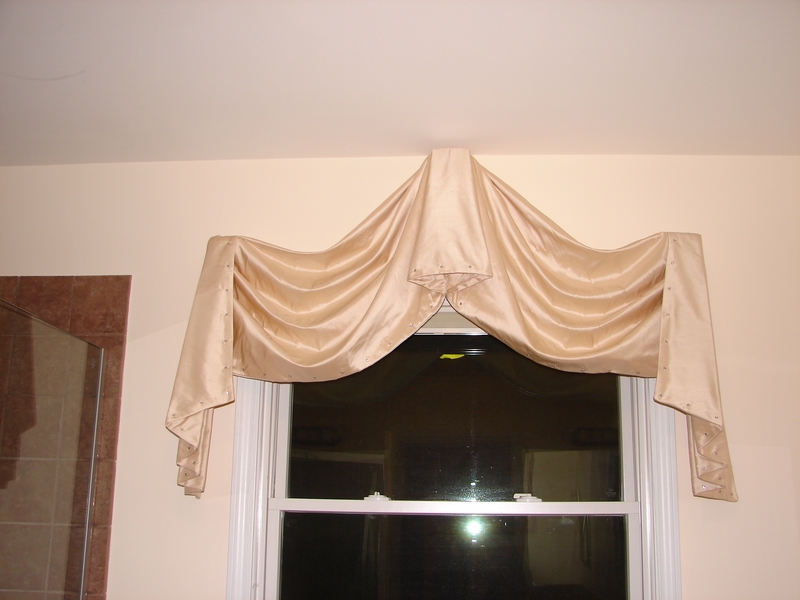 I was hired to design a valance for a master bath. We were looking for fabrics that has shimmer, sparkle, and (bling)!We found this gorgeous silk fabric with rhinestones attached to the fabric. 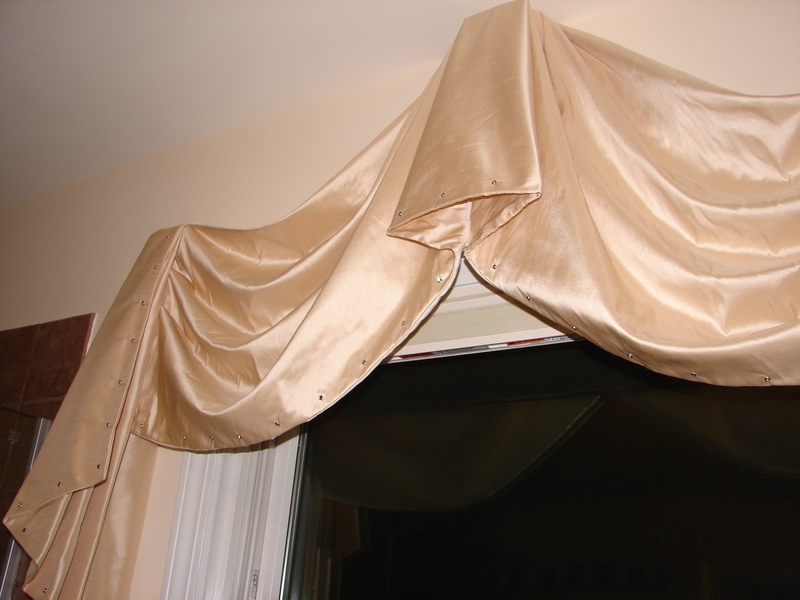 The dilemma was the cost per yard for that fabric was over $350.00 per yard! This was totally out of budget. 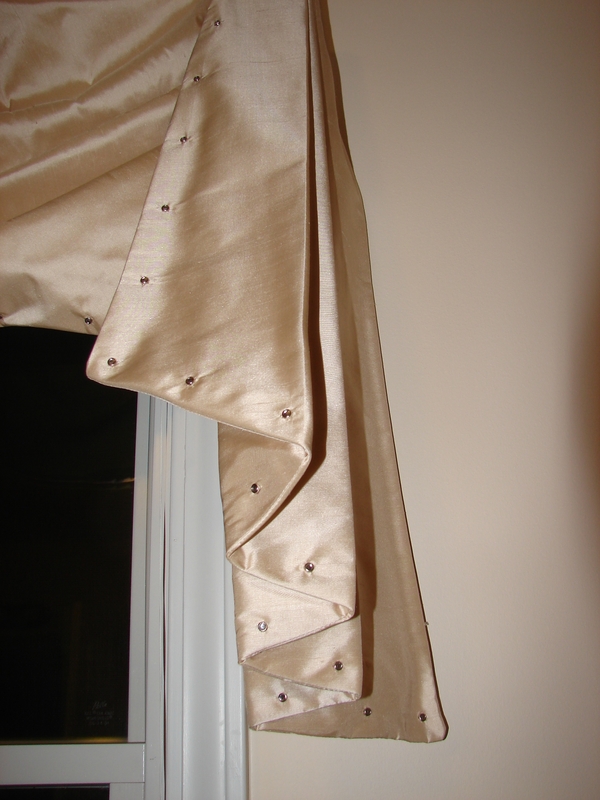 Found moderately priced dupioni silk, we stapled on the edges rhinestones with a bedazzle gun , and Viola!!! 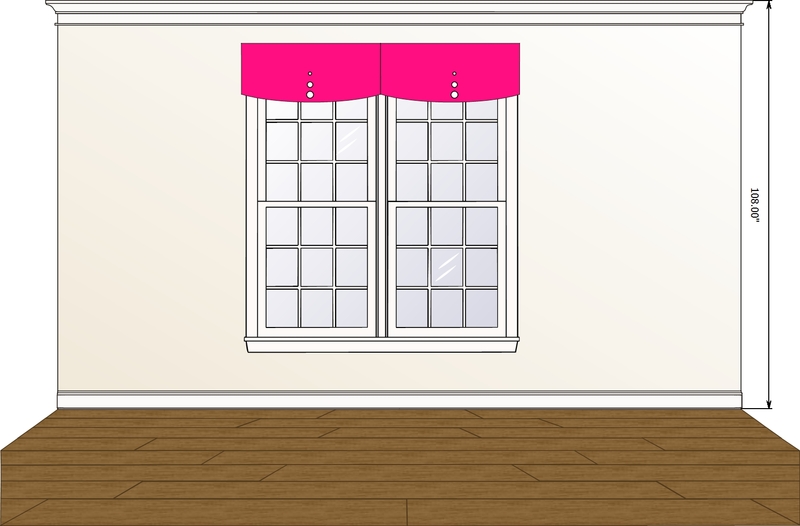 A beautiful valance that is unique, we have achieved our goal, and most importantly the client is tickled pink! 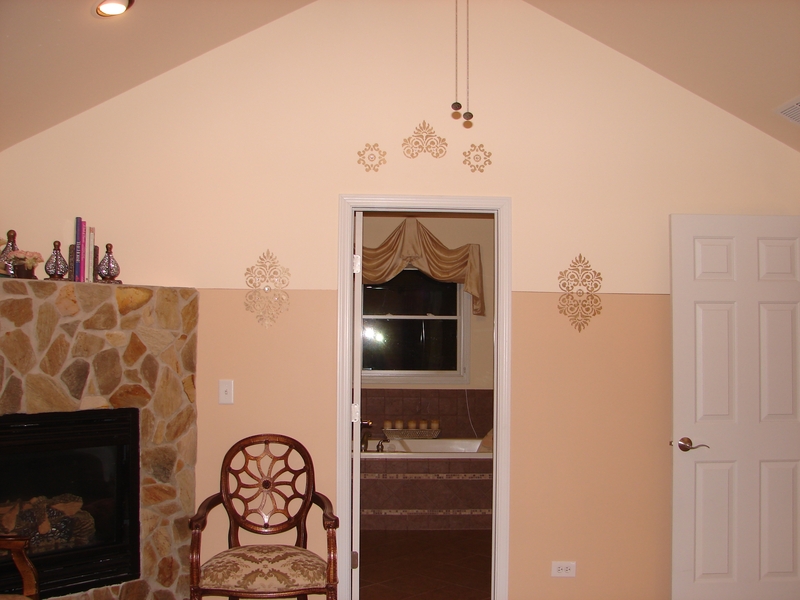 Call (630) 420-0800 for free estimate.